Well, it’s almost late; but it’s still Monday so technically, I’m still on time. I recently knitted my first sock. MAN!!!!! Those are some tiny needles. It doesn’t take too long to make the sock, but once I realized that it was just too small for myself or my girls – I wasn’t sure what to do. I got discouraged and didn’t bother making the second one. Fortunately, for my momma, she’s smaller than us and the sock fits her fabulously. So I have begun knitting the second sock…..now I’m just nervous about being able to replicate the first sock close enough so that they don’t feel awkward……like one looser than the other. 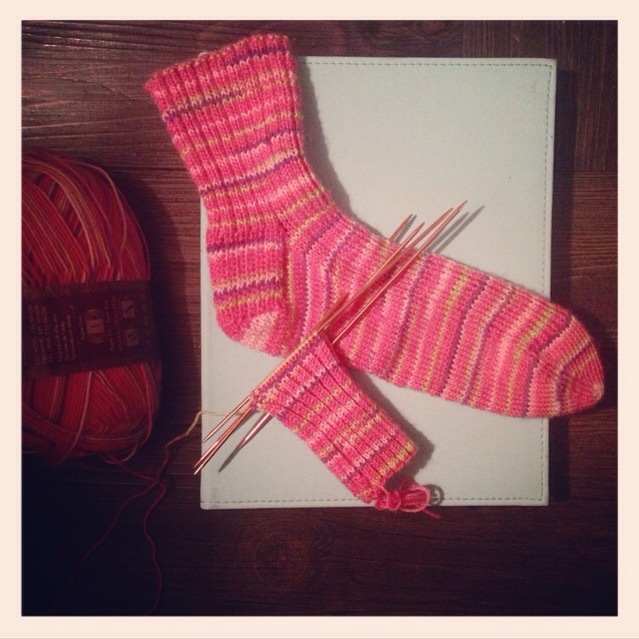 But…….I knitted a sock and it wasn’t as difficult or as tedious as I imagined it might be. After I finish this one, I’m going to try and make a pair that will fit my ginormous feet.